Showing results for tags 'szeth'. Is Szeth's "assassin in white" outfit at all inspired by the Assassin's creed video game series? Another version of my picture of Szeth with some fancy stormlight and Nightblood effects. I had this piece in my mind for far too long and I'm so happy I finally came around drawing it! I know it's February, and these are a little late, but here are some pictures of what I dressed up as for Halloween. If you can't tell, the one in white is Szeth. Many people thought I was a Nun of some sort, and that the Parshendi were burn victims. How related are the rhythms of roshar and people ability to hear the screams of those they killed? So I'm rereading OB and I'm coming across Szeth and his whisperers. Then Dalinar is only aware of his once he knows he should, after the memories come back. And the Singers are hearing their rhythms now that they are allowed the connection. How related are these 2? Is it a Rosharan thing? I know the rhythms "permeate" the cosmere and can be heard anywhere by listeners. What about Szeth? If he left roshar would the voices subside, or is his connection to the Spiritual real going to stick regardless of where he is? Are there any other instances where people are gaining this connection without extreme death dealing? If not, is this then of Odium? Or another shard of equal anti-hero ness? Hey guys I was just thinking what if events turn such as kaladin becomes Odium's champion. He will not have to break any oath to do so as he will not be fighting anyone who cannot protect himself and also if fourth ideal is to leave those whom you cannot protect or to forgive yourself then what if he decides that there is no hope for human to survive and joins Odium's to protect parshendi and he will have to fight Seth in contest of champions, also Brandon have a thing for doing what is most unlikely so maybe. So, what do you guys think. I have a theory that Szeth was a developing surgebinder/ Knight Radiant prior to becoming the Assassin in White. When he tried to tell others about his powers, or even that the Knight’s Radiant were returning, they refused to believe him, and renounced him Truthless. The first evidence I noticed of this is from Words of Radiance. This is a passage from Kaladin and Szeth’s first encounter: Szeth is horrified and enraged after hearing Kaladin claim to be a Windrunner. He cannot believe the Knight’s Radiant are returning, because if it’s true then he was wrongly named Truthless and all the killing and suffering was put upon him unjustly. Even stronger evidence comes from Oathbringer when Szeth is confiding in Nightblood: I think the voice he is remembering was a spren he had bonded in his youth. A spren he ultimately killed through his actions as the Assassin in White. Does anyone else have any opinions? If he wasn't previously a surgebinder, what was the voice he was referring to? Also, I found it surprising that I couldn’t find anyone else talking about this. Feel free to let me know if there is already a post somewhere on the same topic that I missed. What's up with the radiant addition? Why did the Knights Radiant let Szeth in? We NEED to see the conversation that had to of took place about Szeth joining the team in the next book. It drove me a little crazy that this was left out of Oathbringer, but I could understand way it might of been cut. The book was pretty long already and I wouldn't be happy with a rushed out version. It also probably did flow naturally with the ending. I'm curious about how all the main characters rationalized allowing szeth to join. I can kind of get way Dalinar might let him in, but Jasnah and Kaladin!? Szeth killed a member of bridge 4 which would be irredeemable for Kaladin and Jasnah being slow to trust others would be an understatement. Also Szeth killed her father which she spent so much effort trying to prevent. What theories does anyone have on how the group aloud Szeth in? I'm sure that Sanderson will address this in the next book. I know there is already a thread on the Mistborn Movie cast, but I didn’t see one on the Stormlight Archive. This is where we can speculate on the cast of the Stormlight Archive Movie. 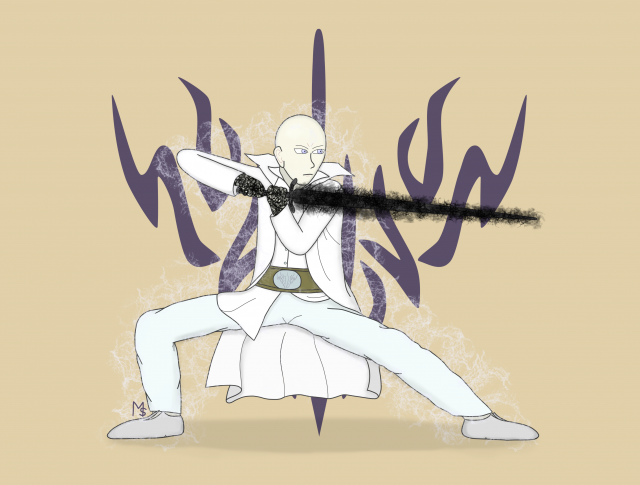 Szeth has decided that, if Dalinar allows, he will "cleanse the Shin of their false leaders" Now, we know that he was named Truthless because he made the claim that the "voidbringers" were returning. With the Listeners and the Fused reclaiming their land, Szeth has determined that his statement was true and that the Stone Shamenate was wrong. However, I propose that the Shamenate knew that the "Voidbringers" were, in fact, humans., and thus could not "return" because they never left; making it technically true that Szeth's claim was false. I expect this to be a complication of his quest. As a corollary, I believe the Shin to be a group of humans who attempted to begin following the Listener religion upon their arrival. Hence their language being included in the dawnate group, their reverence for stone and spren, and their remaining secluded in the area created for them on Roshar. That last point requires an explanation of the Shin Conquest and possibly some explanation of why only humans lacking the epicanthic fold decided to do this. For the Shin Conquest I'm on board with the theory that its primary purpose was to recover an honorblade or shardblade until a better theory presents itself. For the epicanthic fold distinction, is it possible that Ashyn and Braize had distinct groups of humans and each had a cataclysm as a result of surges. Perhaps Shin are from one planet and other Rosharn humans from the other. Thoughts? So I read the Stormlight books for the first time recently, and I haven't read Warbreaker or Edgedancer or anything else in the Cosmere. Looks like I need to read Warbreaker, but at the moment it would feel like 500 pages of homework, plus I am in the middle of reading a really long web serial and have decided I hate reading stories on my computer. I want to get a hard copy to read. After thinking for a while about where the Stormlight story is going, I realized a dissatisfaction with Szeth's storyline from the end of WoR through Oathbringer. Worse, I found myself getting bored whenever his chapters popped up, and thus probably didn't read them closely enough and missed some vital explanations on what is going on. So, if you all can help me out here, please do! 1) At the end of WoR, Nale shows up out of the blue and brings Szeth back to life, using a fabrial. Now Lift did this with Gawx using her KR power, but she did it right after Gawx had died. Nale can apparently cast Raise Dead on people who have been pining for the fjords for many hours. That's... MAJOR. More of those things could be built. Nale could constantly be bringing back his lost followers. He could have an army of never-can-be-permanently-dead followers with ill-attached souls. The books never touch on the implications of this, though. 2) Szeth's ill-attached soul is mentioned as something some people can see as an after image, but doesn't seem to have any particular effect beyond that. 3) Szeth got a spren, right? He needs one so he can do Surges when Nale isn't within 50 miles of him, but so far the poor spren has no personality. This is disappointing, considering how much personality Syl, Pattern, Stormfather, Timbre, and even Ivory and Maya get. 4) Sword-nimi has a lot of personality, and I gather from reading these boards that it is from Warbreaker and is named Nightblood. So I'll call it Nightblood from now on despite not having read Warbreaker. I love Nightblood. The sword is hilarious. It is also feels like a waaay over-powered McGuffin that came out of nowhere and is there for plot reasons. So, why did Nale give this mega-sword specifically to Szeth? It must be for some Crazy Herald Acting On Odium Prescience reason that has yet to be revealed, but for now it just is there for no known reason which is kinda annoying. What interested my about Szeth in the early books was wanting to know his backstory and what was going on in Shin. That still interests me. It is just his present stoy that bothers me. Regarding Szeth’s name. Szeth son son Vallano. I take it to mean that’s his grandfather . Szeth son naturo And that’s his father. Does everyone agree? I’m sure truth less is a status perhaps adopted as a name . I don’t know who Vallano is but he must of been great Szeth would rather associate himself with his grandfather , rather than his father!!! Does anybody know why he prefers his grandfathers name as opposed to his dad, if I’m interpreting this correctly ! Was his father also truthless. Spoiler for Part 5/5 of OB Well, never mind. It’s kind of obvious from my handle who I’m most craving a POV flashback from! I want to know more about truthless; When someone is declared truthless do they all get a Honorblade. What do the Shamans from shinovar have to do with the honorblades? 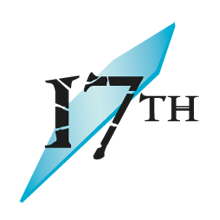 I have a suspicion that Nale has influenced their ideology . Mostly because they were convinced the Radiants would not returned which is something that Nale insisted on. Szeth wants to cleanse them, he is very angry with them. Do they deserve this? Or is Szeth just insane. if we learn this then we can guess if Dalinar will ever approve of Szeth 4th ideal quest. So many questions. Who trained Szeth? 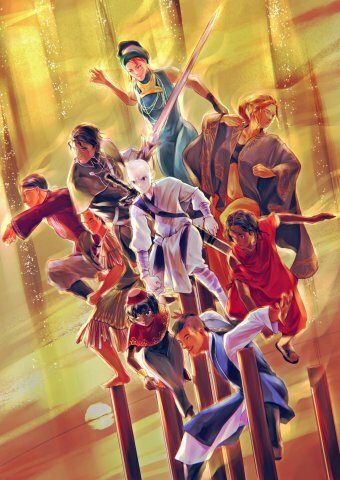 Do all members of his order train with all 10 honorblades like Szeth claims he has.? Is Szeth the best or are his peers of equal skill, or worse better than him....scary? So who do you most want to see a POV flashback from? I suspect a lot of Jasnah, a few Teravangion, but somebody may surprise and say somebody crazy like Navani! Tell us why u want to see it and what u hope is answered! As I was re-reading WoK, I noticed Taravangian say something odd. 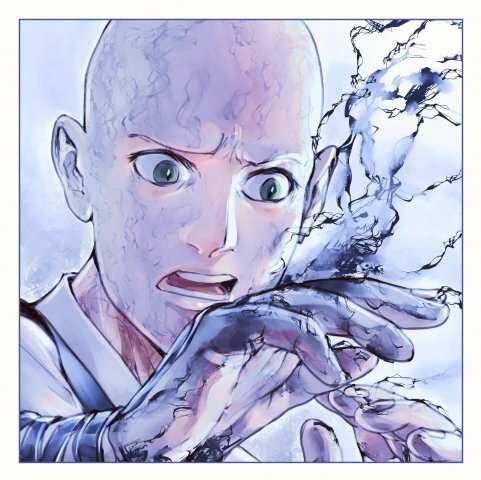 When he revealed himself to Szeth, he says “Sometimes I wonder if the Lifebrother himself sent you to me.” To which Szeth replied, “To bloody myself so that you wouldn’t have to. Yes, that sounds like something one of your Vorin gods would do. Knowing that people associate Stormfather with Jezrien, who is worshipped in Vorinism, could the Lifebrother be the Sibling? The name pattern is similar. Stormfather, Nightwatcher, and now Lifebrother. 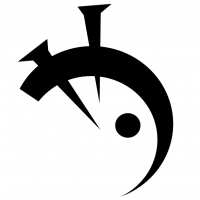 And if the Sibling was necessary for “life” to survive on Urithiru, then the name is also appropriate. I haven’t seen any other reference to this outside of this scene. So the question is, could the Lifebrother be the Sibling? [OB] Why did Szeth ever have an Honorblade? So first Szeth believes that the radiants are coming back. This somehow leads to him being exiled, deemed "Truthless" which, according to societal convention, binds him as a slave to the wielder of a rock. But then why would he be given the Honorblade for the Windrunners if he was being punished or removed from society. Either something is missing/wrong with Szeth's recollection or the Shin are extremely odd. Do Spren and Shardblades connect with the mind, and give the weilder more strenght in a certain trait? So I see a lot of controversy to why Kaladin was able to heal his wound when cut by a Szeth's Shardblade, while Szeth was not able to heal himself with his excess Stormlight he had with him when Kaladin killed him. So, my question; Are Spren, Stormlight, or Shards able to look at your strengths, and automatically apply it when in need? For example, Kaladin could heal a Shardblade (an Honorblade non of the less) cut which should have torn his soul because Syl or his Stormlight could make a mental connection with his past as a Surgeon, and apply that to the power that he already had, healing his arm. And the reason why I do not believe it was due to him being a Windrunner, is because while Szeth was not a true Windrunner (getting his power from the sword) he still had the capabilities, but could not heal. Who do you guys think should take the forefront/backstory in book four of the Stormlight Archive? So by the end of OB, Szeth had said the Third Ideal of the Skybreakers and bonded a spren. My question is why would Szeth use Nightblood instead of summoning his shardbalde when fighting in the battle at the end? Seems like it would have been less of a risk rather than having Nightblood constantly draining stormlight and almost killing him. I assume it is because Szeth didn't consider summoning his spren because he hasn't summoned living shardblade before but I find it odd. 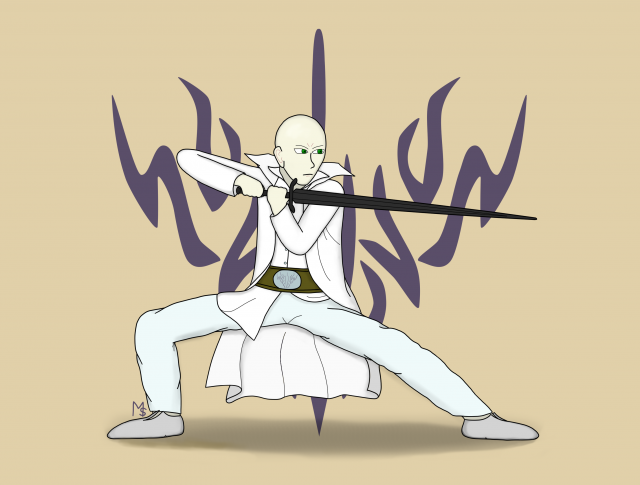 Also, will Szeth keep Nightblood and have his spren as shardblade? I know Nightblood is supposed to be more powerful than a shardblade but kinda seems like the risks outweigh the rewards when weilding it.